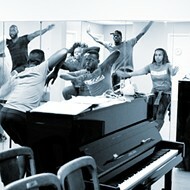 Photo courtesy of BJ Kraiberg. Eat Rite owner LB Powers holds a check with the money raised via GoFundMe. 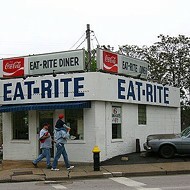 On October 24, downtown's Eat-Rite Diner closed its doors due to a broken exhaust fan, with no guarantee of reopening. But at the end of last week, co-owner L.B. 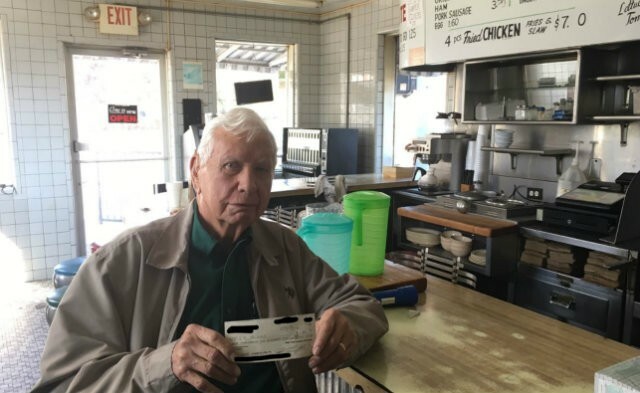 Powers received a check via a GoFundMe campaign to replace the broken appliance — and while he and his wife, Dorcus, still may not continue to run the diner, its future is looking brighter. BJ Kraiberg, the creator of the campaign, posted an update on GoFundMe that he met with Powers on Friday to deliver a big fat check. With 45 backers donating within twelve days, the campaign raised $1,755 dollars, beating its goal of $1,500. "The out-pour of support & love of his restaurant has humbled him," Kraiberg writes of Powers, who acquired the Eat-Rite building in 1970. While the exhaust fan initially motivated the closing, it's not the only thing that could affect the diner's future. Powers, who is in his 80s, has said he no longer has the energy to keep running the diner. But, Kraiberg says, Powers is willing to let the right person take over. "He would sell the business outright (he has the Eat-Rite brand registered), or allow someone to buy in or manage a minor share. His biggest concern seemed to be he wants someone with EXPERIENCE handling crowd & staff for a late night diner," Kraiberg writes on the campaign's page. And Kraiberg is promising to do what he can to help Powers identify that right person. He suggests anyone with a genuine interest — and, yes, experience — message him via the GoFundMe page. "Message me (or send VHS style speed dating tapes) with legitimate interest & I'll forward them on to the Powers family," he writes. 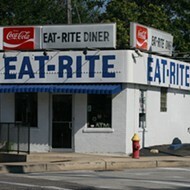 "Long live Eat-Rite! We're invested, and we're going to do all we can to keep this landmark slingin' slingers!" Kraiberg notes that he's putting together a potential list of buyers for Powers — and that someone on that list may well end up being the beneficiary of the GoFundMe donors' largesse. LB Powers, Kraiberg says, told him this morning that "he would likely not deposit the check & make improvements, but instead give a discount or the money to the buyer-to-be." As if this deal needed any sweetening! Editor's note: We updated this post shortly after publication with an additional detail about how LB Powers wants to handle any repairs.